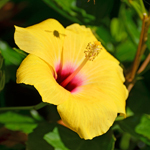 It’s Easter weekend, the temperatures are in the upper 20s, the island is buzzing with a holiday weekend vibe and it feels as though winter is well and truly behind us. 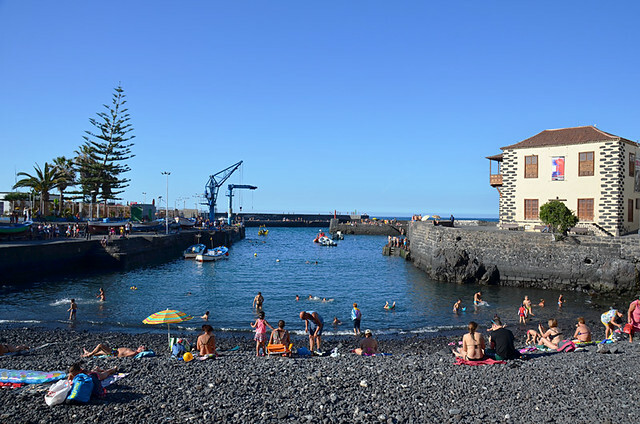 Winter Canary Island style that is. Over winter we update our walking routes. Due to being in the UK and then Chile till almost Christmas we didn’t get to start in earnest until January. Much is written about the weather on Tenerife, a lot of it a bit bonkers. 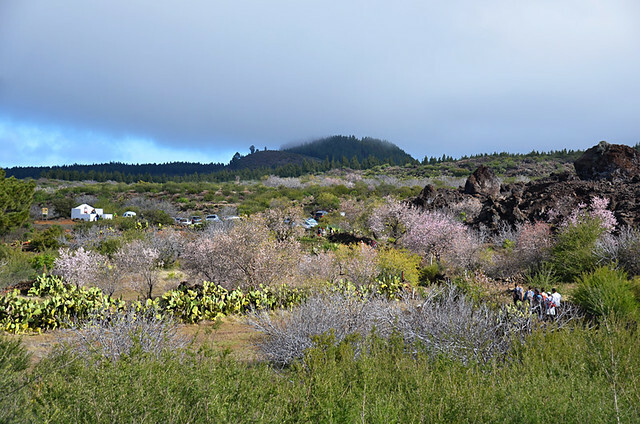 But rather than write another boring post about the reality of the weather across Tenerife I thought I’d just show you what walking on Tenerife has been like this winter. 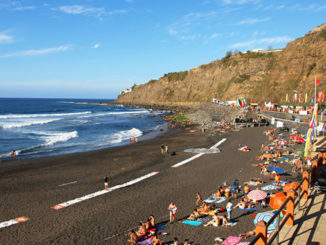 It has been an exceptional winter for walking on Tenerife and on the other Canary Islands. 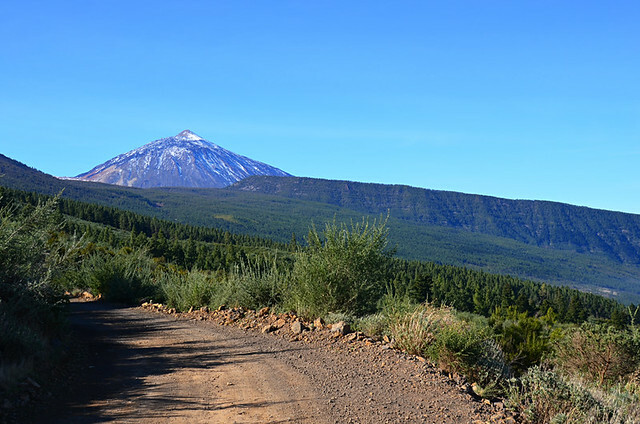 The Orotava Valley in full sunshine is still one of the sights in the island to behold, especially when there’s snow on Mount Teide just to prove it is actually winter. In early January we walked through the scented pines and across an open section of hillside with wide views of the whole of the valley and the coast below. Once again warm sunshine accompanied us as we climbed steep ravines from Los Silos passing agricultural terraces, pretty bellflowers and abandoned cottages where house leeks pushed through what few tiles were left. As we reached the crown of Isla Baja the sunshine was replaced by cloud. Better for walking but not for photography. A day of two halves. 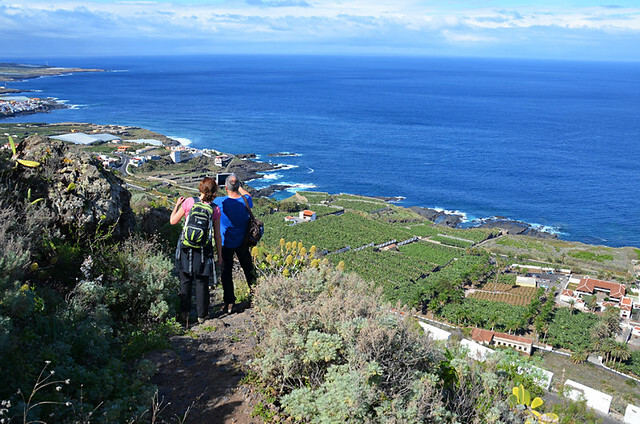 It was back to full on gloriously warm sunshine as we followed a camino real high above Garachico, stopping regularly to enjoy views of Tenerife’s prettiest town. This time the sun stayed as we crossed allotments brimming with fruit and vegetables before descending on a forgotten path with the most epic views along the north coast almost from Tenerife’s most westerly point to its eastern end. The most disappointing walk of winter was the almond blossom route high above the south west coast. The Valle de Santiago is usually a reliable sun trap but on a public holiday when the paths were jam packed with people, the cloud descended and stole away views that are usually stunners. The sun wasn’t absent all day. 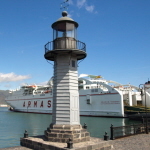 It joined us as we set off on the route and returned as we crossed Puerto de Erjos back into the northern side to enjoy a beer in the sunshine at Bar Fleytas. 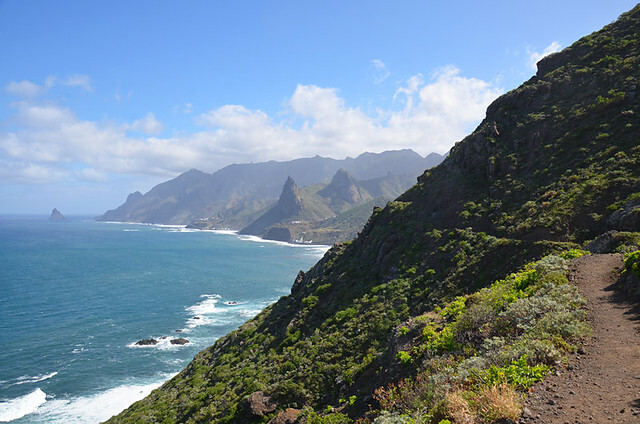 Any walk in Anaga is always going to be up there with the best, but sunshine and clear views elevated a route around Taganana into the Champion’s League of walking routes. Simply sensational all the way from ravines where trickling streams were the home of vociferous frogs to paths with a serious ‘wow’ factor above the rugged and untamed north east coast. The Masca Ravine is so narrow in places that it doesn’t matter whether the sun is shining or not as it can’t penetrate the deep barranco anyway. It’s an awe inspiring walk whatever the weather, as long as you can avoid the large walking groups. 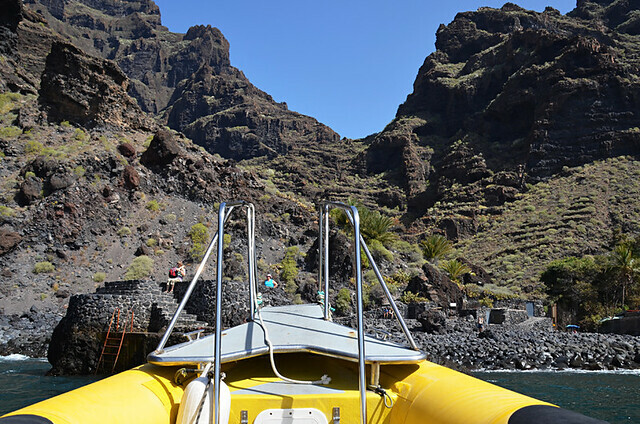 As it happened we emerged from the shady ravine into sunshine for the boat ride to Los Gigantes. 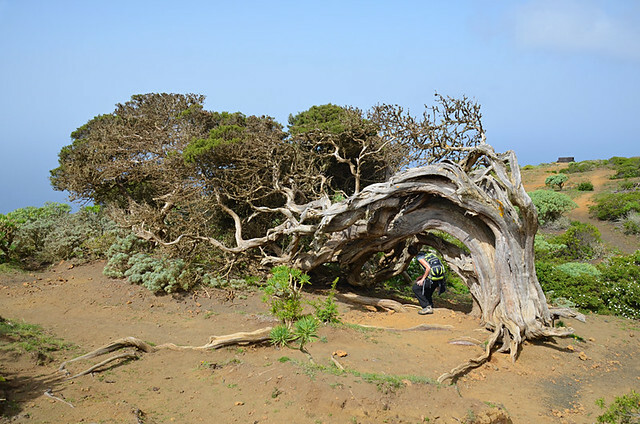 During late February early March we walked on El Hierro first and then explored a part of the south of Portugal, enjoying more mainly sunny weather in both locations. 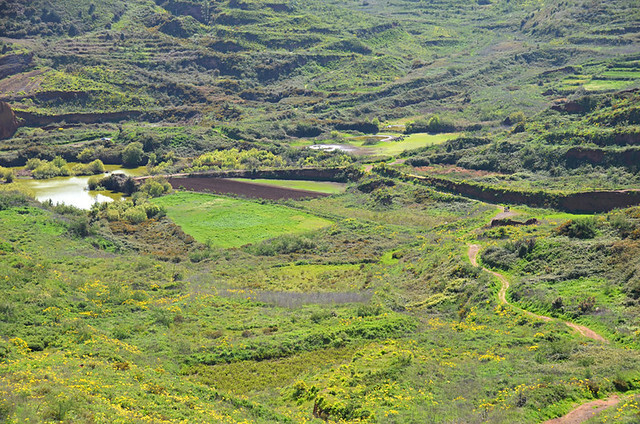 El Hierro might be another Canary Island, but the experience of walking there is very different from Tenerife or any of the other islands. 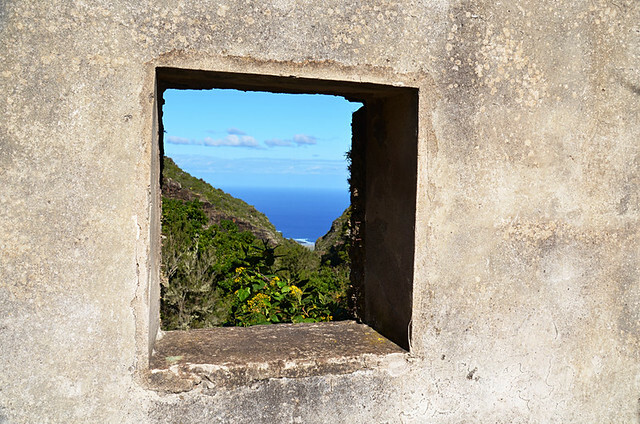 Apart from different scenery, few visitors make it to the smallest Canary Island. It was another sunny day albeit a slightly hazy one as we followed a short but beautiful route around the Erjos pools. Being a Sunday the countryside was its usual playground for locals and there was a real feel of springtime in the air. 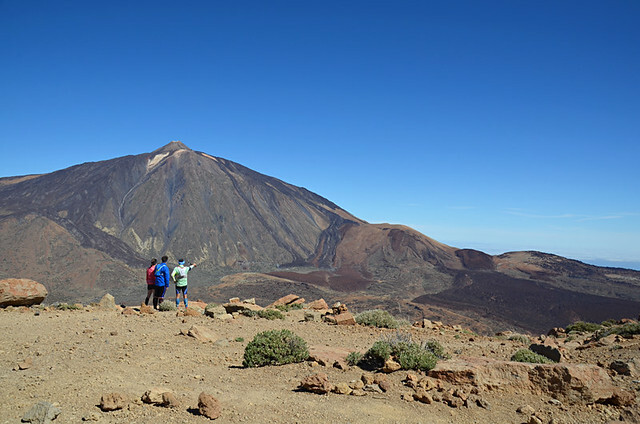 There are those who say that it’s always cool in Teide National Park no matter what time of year. But only people who have never actually tried walking more than a few yards in the park. Thanks to staying overnight at the Parador we were able to notch up three walks in brilliant sunshine and with a clarity of air which made the landscape pop even more than usual. 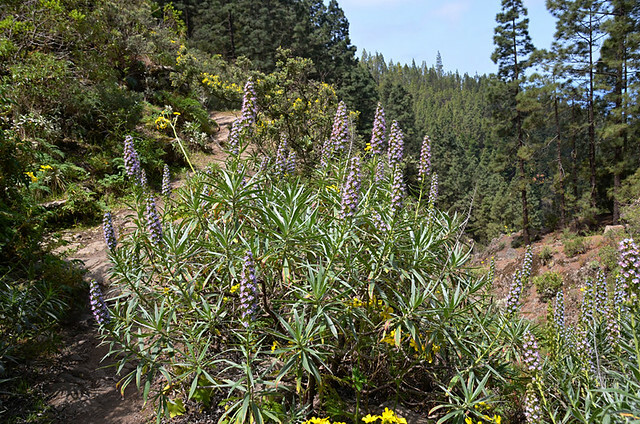 With spring well and truly into its stride it was back to the upper Orotava Valley and a route which has been closed for the last couple of years – pines, lilac tajinaste and scenes across the lush slopes to Mount Teide accompanied us on what is one of the best walking routes on Tenerife. Oh, and there was another walking companion who’d been with us on most of our walks this winter on Tenerife.